Over the last 7 days, the Greater New York Red Cross provided emergency assistance to 40 adults and 18 children following 44 local disasters. Here are some highlights from last week and a preview of upcoming activities (see below). 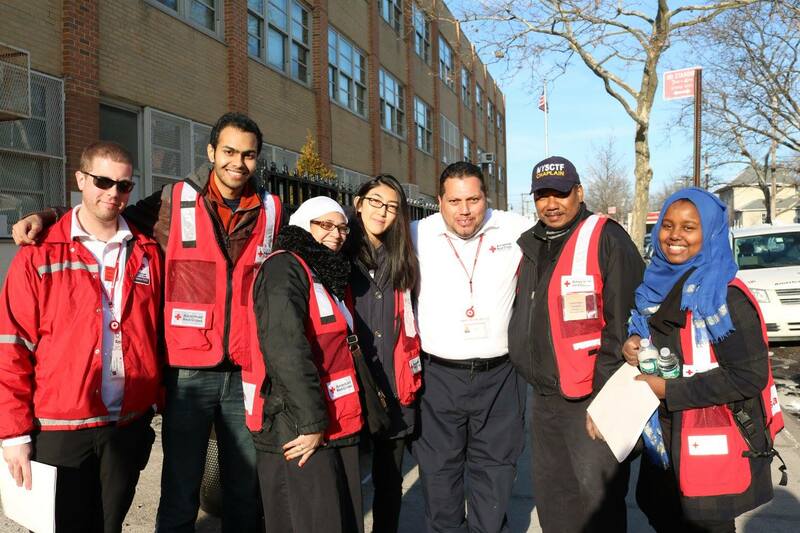 On Saturday, hundreds of West Brighton (Staten Island) residents like Sarah Rodriguez welcomed Red Cross volunteers into their homes to install free smoke alarms as part of the #GetAlarmedNYC fire safety education campaign. The Staten Island Advance and NY1 covered the lifesaving effort. Friday morning, UPS employees volunteered at the Red Cross to build "Totes of Hope" kits to be distributed to veterans who have proudly served our country in local VA hospitals and stand-down events. Continuing our #MyRedCrossLife Instagram series, Tashi Penjor from Elmhurst, N.Y. shared how volunteering with the Red Cross changes his state of mind. Last week, we also launched the debut episode of Hope Starts Here, which focused on Josh and Joe meeting at the unique ATM and discussing Joe’s focus and involvement with the #GetAlarmedNYC program. Last Wednesday, on the one-year anniversary of the tragic train crash in Valhalla, N.Y., we remembered those who were lost and recognized the heroes who came forward to help via blog post. On Monday, Long Island Board Members Frank Chau and Ming Chiang celebrated John Miller’s tenure at the Red Cross while sharing Chinese New Year traditions (including an 8 course meal) with fellow Board Members in Huntington, N.Y. Prior to Winter Storm Jonas arriving, our Pillowcase Project team taught emergency preparedness to students of P.S. 105 in the Bronx through this innovative program. Feb 8: Red Cross blood drive: 1 to 7pm: 520 West 49th Street, Manhattan. Schedule an appointment to donate today. Mar 5: The #GetAlarmedNYC campaign to help save lives by installing free smoke alarms in the community will make its way to Bed-Stuy (Brooklyn) next month. Volunteer or sign up for a free smoke alarm installation at www.redcross.org/GetAlarmedNYC.